Ladies, ladies, our Fairy Godmother has at last answered our prayers and dreams. Now they are finally coming true and are here. Remember when we played dress up in those Disney store princess costumes? From the dresses to the fake heels and magic wands accompanied by the glitter, no one could tell we weren’t the ‘ish’ without our Prince’s alongside us. However, now that we’re older, and considered professional in the six inch walker industry, we can now strut pretty in real life glass slippers. Well, let’s not get to carried away. They aren’t exactly glass, but they’ll definitely give off the impression of beauty, grace and royalty. 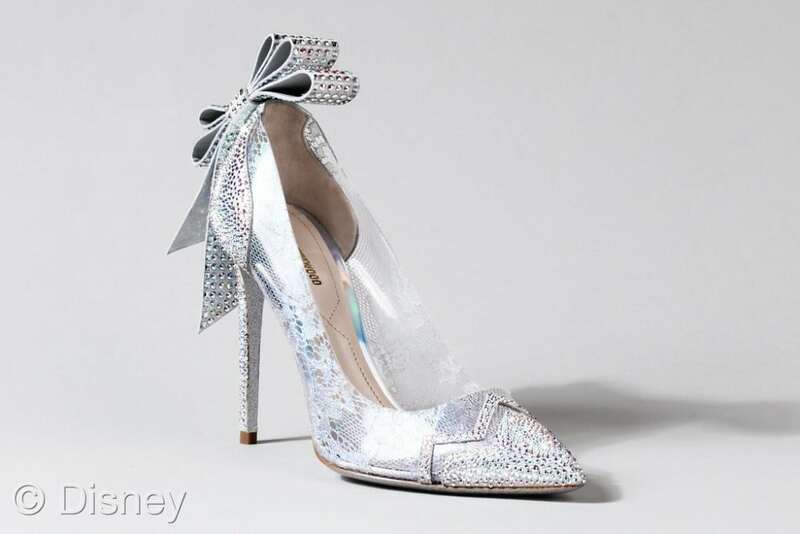 Walt Disney Pictures live-action film of the animated movie of the same name Cinderella, has inspired many designers from Jimmy Choo to Nicholas Kirkwood to transform into their pump loving beauties Fairy Godmother and sprinkle some fairy dust into beautiful glass slipper inspired shoes. We couldn’t ask for anything better. 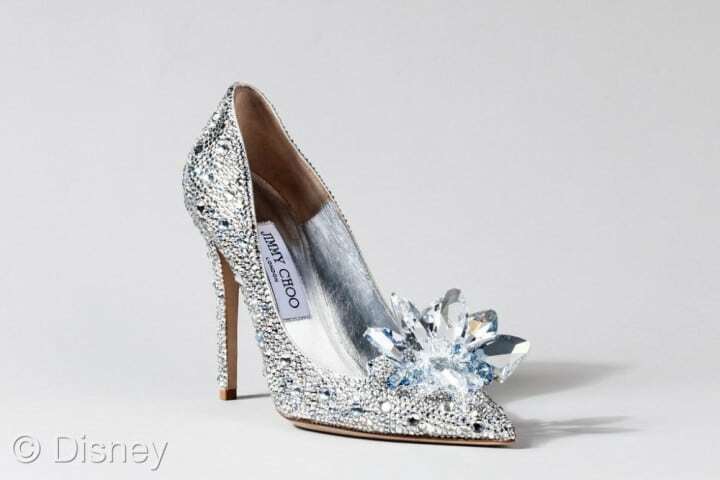 The shoes deigned by the nine designers Jimmy Choo, Nicholas Kirkwood, Paul Andrew, Jerome C. Rouseeau, Rene Caovilla, Salvatore Ferragamo, Charlotte Olympia, Stuart Weitzman, and Alexandre Birman all obtain their own unique look as far as texture, tone, impression, and class. Though all give off that Princess sparkle, from slingbacks, to sandals and pumps, Cinderella has made a statement in the modern fashion world. Each shoe’s sparkle is accompanied by Swarovski dazzling crystals, who also produced Ella’s glass slipper for the film under the direction of Sandy Powell, Academy Award winning costume designer. 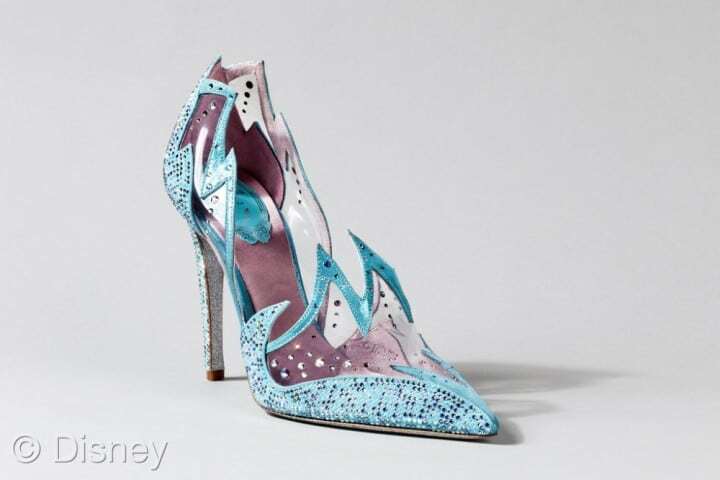 In February, nine sketches of each designers Cinderella inspired shoe was released to the public. At the time, however, it was not exactly decided that they were going to be brought to life. The shoes were put on display during the Berlin Film Festival, and were on display once more earlier this month at the Saks Fifth Avenue’s flagship store in New York City. Bibidi Bobidi BOOP, time to head to the ball Cinderella style of course.